Mild-mannered software developer by day. Volunteered to help run the Ubuntu table at Ontario Linux Fest 2009. Release parties for 9.10, 10.04, 10.10 and 11.04. Hosted Ubuntu Global Jams in Mar 2010, Apr 2011. 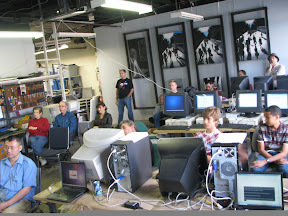 Continue to grow Ubuntu Canada, encouraging events in cities other than Kitchener-Waterloo. More release parties, Jams and Hours! Reach out to other nearby LoCos and LUGs and other groups. Pitch Ubuntu as an app development platform to local development groups. Start an upstream project/contribute patches/work on Ubuntu (some day; in my copious free time). I've been hanging around on the #ubuntu-ca channel for a bit now, just planning on installing Ubuntu again, after the Great Music Reformatting of '09. Darcy's been a great help to getting ready for the big change, giving me advice on how not to repeat my mistakes, along with introducing people to the idea of FSOSS. He's a Ubuntu-guru, and has gotten me re-interested in the Ubuntu community. I've been attending Ubuntu Release Parties since 7.10, but always had to travel to Toronto. There was no sign of local Ubuntu activity in Waterloo Region, except for a few disks at the local LUG. Once Darcy arrived on the scene we've had local Ubuntu Release Parties, Global Jams, regular Ubuntu Hours, and a supply of Ubuntu promotional materials including CDs, stickers and buttons. Darcy has done much to raise the profile of Ubuntu locally, and now that he's taken on a Canada-wide role there is much more interactivity between Ubuntu communities. Thanks to Darcy's work I've been able to distribute CDs at various other events, such as the KW Web Developer's Meetup and the Guelph Web Makers Meetup (and soon, the Hamilton Ubuntu Hour). 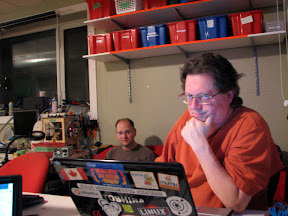 Darcy has been fundamentally instrumental to reignite the Ubuntu Canada LoCo efforts since 2008. 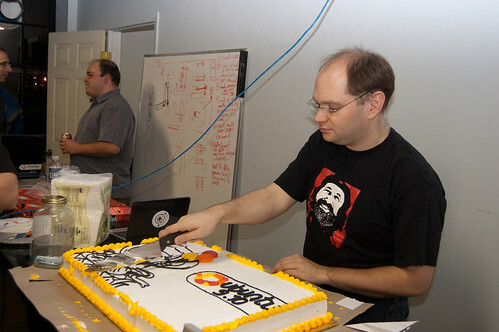 It started with consistent organisation of Ubuntu Release parties since this time including the famous Ubuntu cakes each time with the release mascot on it. He supported an Ubuntu table at the Ontario Linuxfest. He also started a regular Ubuntu Hour that has now spawned into two such events. Darcy regularly chairs the Ubuntu-ca Loco IRC meetings and makes sure our reports are done in time. Darcy has also given a lot of support necessary to obtain the renewal of the official Ubuntu Loco status for Ubuntu-ca. Darcy is one of the role models of the community and I support his application for Ubuntu membership wholeheartedly! I wanted to echo all the comments above and wholeheartedly support his application for membership. As Txwikinger points out, he has stepped up and reinvigorated the team since his arrival.